The Tánaiste said the appointment reflects the commitment given to the Taoiseach by Obama on St Patrick’s Day. The new US ambassador to Ireland Kevin F. O’Malley. PRESIDENT BARACK OBAMA has announced that the new US ambassador to Ireland is Kevin F. O’Malley. The trial lawyer is an officer in the Litigation Department at Greensfelder, Hemker and Gale in St. Louis, Missouri and has been a practicing law for over 35 years. 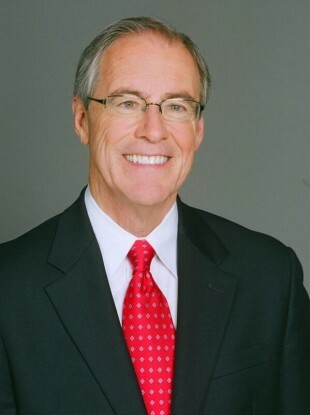 O’Malley has been an adjunct professor at Washington University School of Law since 2013 and taught at St. Louis University School of Law from 1979 to 1985. He served as an Assistant U.S. Attorney in St. Louis from 1979 to 1983 and was a Special Attorney in the Organised Crime and Racketeering Section of the Department of Justice from 1974 to 1979. In 2009, Missouri Governor Jay Nixon appointed O’Malley to the Missouri Board of Healing Arts. He also served as a legal instructor for the American Bar Association’s Central and East European Law Initiative in Moscow in 1996 and Warsaw in 1999. He received an A.B. and a J.D. from Saint Louis University. I am proud to nominate such impressive men and women to these important roles, and I am grateful they have agreed to lend their considerable talents to this Administration. I look forward to working with them in the months and years ahead. The Tánaiste and Minister for Foreign Affairs and Trade, Eamon Gilmore, welcomed the announcement from the White House. The Tánaiste said he was “delighted” saying it “reflects the commitment which he gave to the Taoiseach at their St Patrick’s Day meeting in Washington D.C”. “It is important that there be a resident US Ambassador here, to reflect the extraordinary strength and depth of the relationship that exists between our two countries. That relationship is evident is so many ways, for example: the US is home to our largest and most powerful diaspora of approximately 36 million; it is our most important source of Foreign Direct Investment and one of our top sources of investment, trade and tourists; and it remains an indispensible partner in the Northern Ireland peace process. Email “Phoenix Park's newest resident: Kevin F O’Malley appointed US ambassador to Ireland”. Feedback on “Phoenix Park's newest resident: Kevin F O’Malley appointed US ambassador to Ireland”.